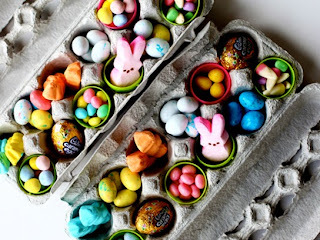 Supplies: 12 oz plastic drink bottles, red spray paint, a sharp knife or kitchen scissors, leaf punch, green cardstock, green pipe cleaner or twist ties, red candy, clear treat bags, glue or glue dots. Punch 2 leaves per “apple” and set aside. Find the seam on the bottle, stick the knife or scissors in and cut all the way around. The plactic won’t be sharp but you can go around again with scissors to even it out. Spray paint the “cups”. After they are all dry… it’s time for the fun part. 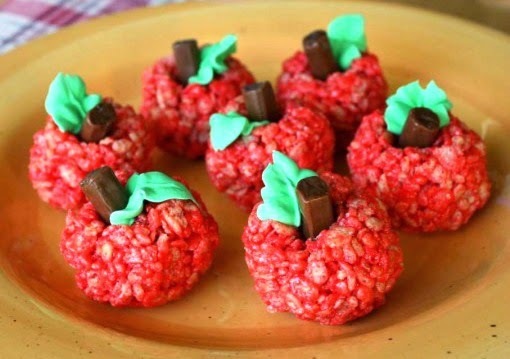 Fill the treat bag up with red candy, use a snippet of pipe cleaner or twist tie to close it and secure the leaves on there with a drop of glue or a glue dot. Any kind of small red candy will do! 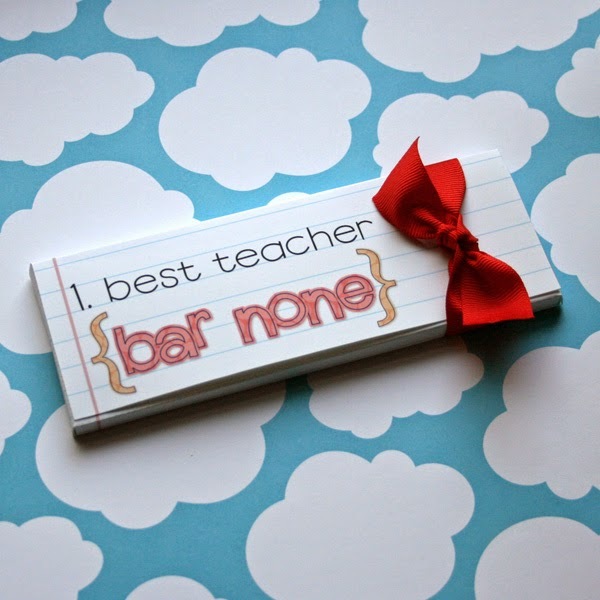 What teacher doesn't like tea? Take a mason jar and fill it with a variety of yummy teas. Tie a cute tag on, and there you go! You will need lined notebook paper, scissors, glue (a glue stick would be just fine), and maybe some ribbon. Wrap a candy bar like a present using paper but don't tape it yet. Make sure you "score" on the folded areas so you know where you should write or paste your sentiment. Once that is done go ahead, re-wrap, attach and embellish! You will need red Jell-o to add to your batch of Rice Krispies after you melt the marshmallows. Place marshmallows and butter in large microwave-safe bowl. Microwave on high for 2 minutes. Stir and microwave for an additional minute. Remove from microwave and stir in jell-o powder. If desired, you can add a few drops of red food coloring (depending on how "red" your jell-o is). Add Krispy Rice cereal and stir well. 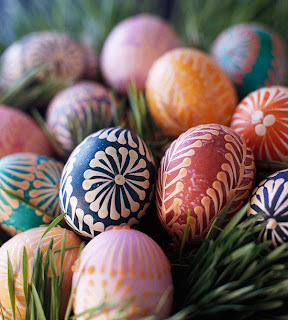 Spray hands with baking spray and roll mixture into balls (a little larger than a golf ball) and drop on wax paper. After balls have set for a few minutes, use your thumb to press into the top to make an "apple" shape. Add a small tootsie roll "stem" and using royal icing (or any green candy), pipe on a "leaf". I actually would have rather used some kind of green candy but didn't have any on hand. I just used royal icing and a leaf-shaped icing tip. Print out two copies of the sentiment on some fun card stock. 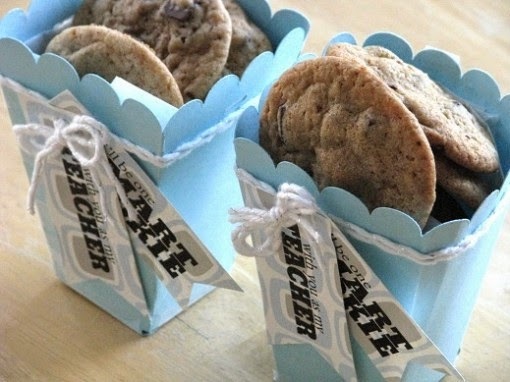 Attach to any container that will hold around 8 small chocolate chip cookies. You can individually wrap the cookies to keep them safe and clean if you use an open container as the one shown! 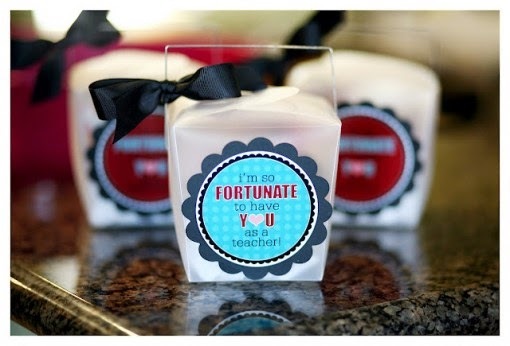 What you’ll need: Push-Up Pop containers (available on Amazon and Shop Sweet Lulu), 1 ½ inch orange grosgrain ribbon, York Peppermint Pieces, Glue dots or double sided tape, Scissors (scallop circle punch optional), printable school tags and White string or thin ribbon. Here are the simple steps: Fill the bottom of the push-up-pops container with a layer of blue candies, about ½ inch thick. 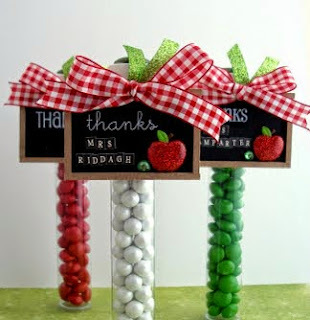 Fill the remainder of the push-up-pops container with white candies. Tape the top of the push-up-pops container closed. Cut two pieces of orange ribbon, the length of the circumference of the container. Fold one piece of ribbon in half, lengthwise, securing it with glue dots. 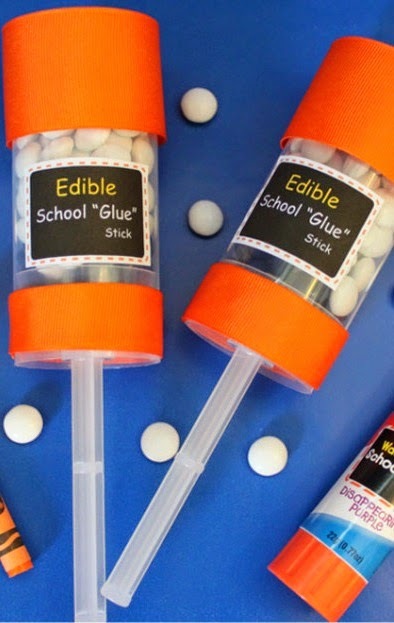 Attach it around the bottom edge of the push-up-pops container using the glue dots. Wrap the other piece of ribbon around the top of the push-up-pops, securing to the bottom edge of the container lid. The taller ribbon at the top will mimic the cap of the glue stick. Print the Edible School “Glue” Stick label on a full sheet of white sticker paper or regular paper and attach with tape. Print the I’m so happy to be “stuck” with you tag on cardstock. Punch out the tag and attach with string or ribbon. Now you’re all set to show your teachers how excited you are about this new school year! Enjoy! You will need Tubes, Miniature chalkboards, Ribbon, Candy, Craft Glue and White SRM stickers that are bold and bright when applied to the chalkboards. 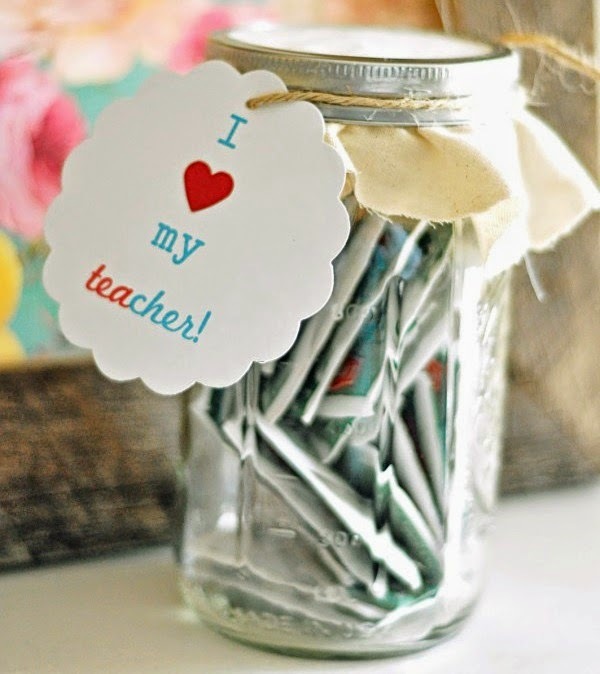 Fill the tubes and Decorate the mini chalkboards anyway you wish using the craft glue to attach the chalkboard. 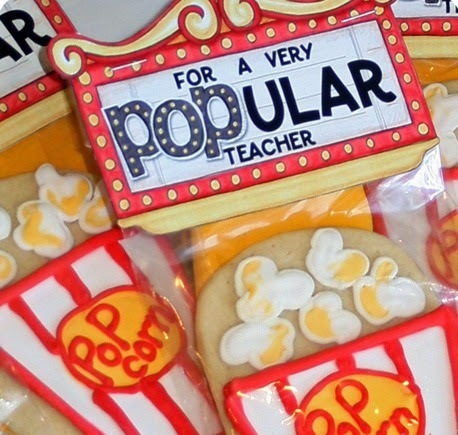 Make and decorate sugar cookies to resemble popcorn like shown here. The FREE download can be picked up here. It’s a pdf file, so you don’t need any special software, just the Adobe Reader, which is a free download itself and you might already have it on your computer. The file will pop up on your screen and you can print it right there or save it to print later. Just print, cut, and fold it over the top of a clear cello bag. Give it a couple of staples to hold it tight and you’re ready for gift giving. You can find the clear cello bags at the craft store in the baking section and sometimes at your local discount store. Print out the sentiment and then cut it out. 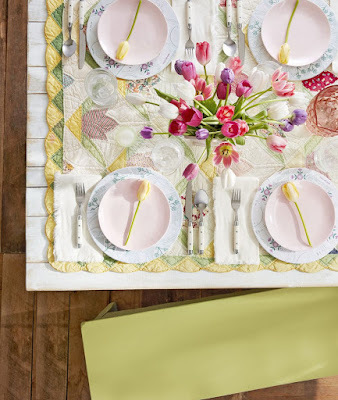 Layer (except the sentiment) twice and sandwiched the layers with foam tape to give it a little extra dimension. Punch holes on either side of the apple stem to insert the ribbon. This holds the tag onto the bottle, and the awesome teacher can easily remove the tag ( without ripping the paper) and enjoy the refreshing beverage. Supplies for mini Oreo pops: Mini Oreos, Red candy melts, Airheads ~ Watermelon flavored (for the green color) as the mini leaves, Pretzel sticks ~ for the mini stems and Toothpicks. First take a toothpick and gently stuck it into the middle (cream) part of the mini Oreo. This is to help with dipping the cookie into the candy melts. Melt the candy melts according to the directions on the bag. It only takes a little bit of time in the microwave and you’re good to go. Gently dip the cookie into the melted candy until covered completely. Carefully tap the toothpick on the side of the bowl to let the excess candy drip off of the cookie. Then stick the dipped cookies into a piece of styrofoam to let them dry completely. Don’t worry about messy toothpicks or extra drips, you’ll be removing the toothpicks later on. While the candy is still wet, break the pretzel sticks into small pieces (roughly 1/2 inch pieces) and stick into the top of the dipped Oreo. 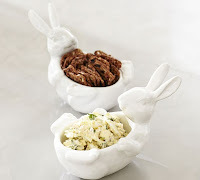 To create the little leaves simply use scissors to cut the Airheads into small pieces, then pinch and round the sides with fingers to make them into more of a leaf shape. 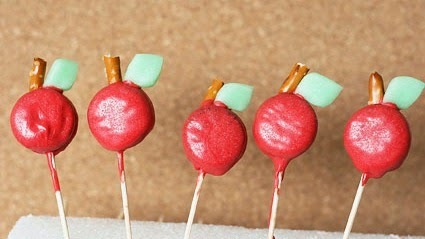 Use a dab of melted candy to stick the leaves on the tops of the “apples” right next to the pretzel stem. Let everything dry completely. It takes less than 30 minutes to dry, or you can put them in the fridge to speed up the process. Once dry remove the messy toothpicks. Note: If you can keep the toothpicks clean you could leave them in and display them in a clean piece of styrofoam inside a cute container if you want as well. Fill a 4×9 inch clear cello bag with two graham squares, a marshmallow, and a mini chocolate bar. 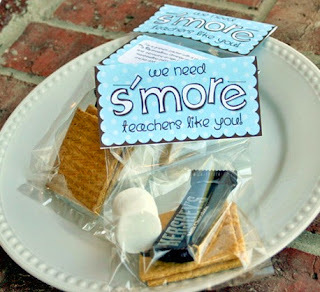 Make the topper with the clever little saying on the front and easy directions for making an individual smore in the microwave. Too cute! 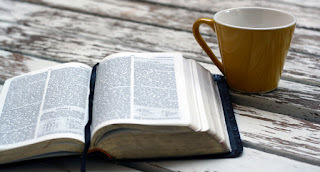 Get your pdf file (with directions) HERE. Supplies: Cellophane bags, Ribbon, Printable thank you tags, Circle punch, and Hole punch. 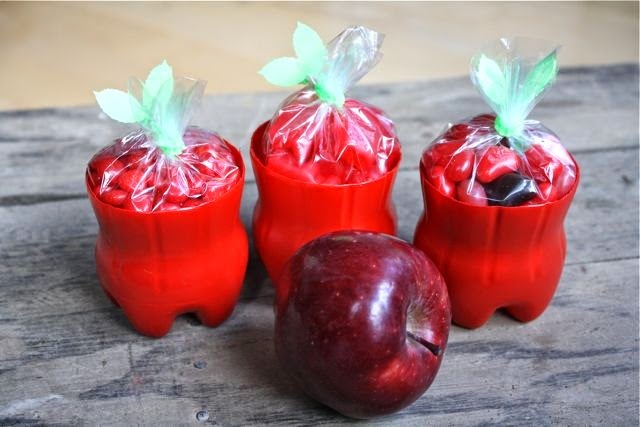 Instructions: The caramel apple packaging is really quite easy to put together. 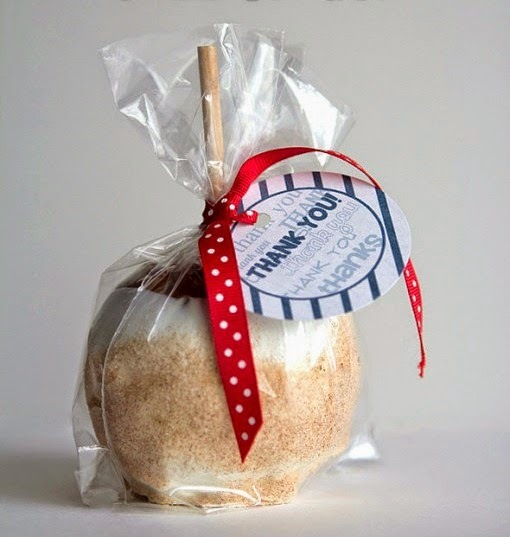 All you do is place the caramel apple in a cellophane bag, then tie ribbon around the base of the wooden stick. 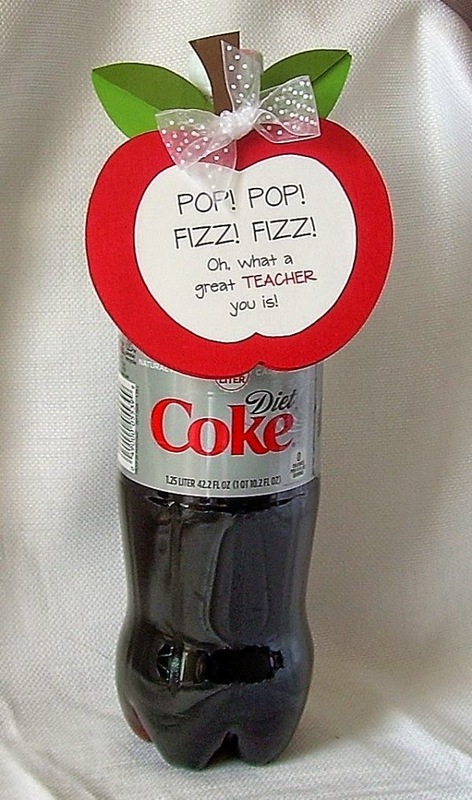 Cut out the thank you tags (printable available below), and punch with a 3 inch punch. Tie the thank you tag to the ribbon and viola!